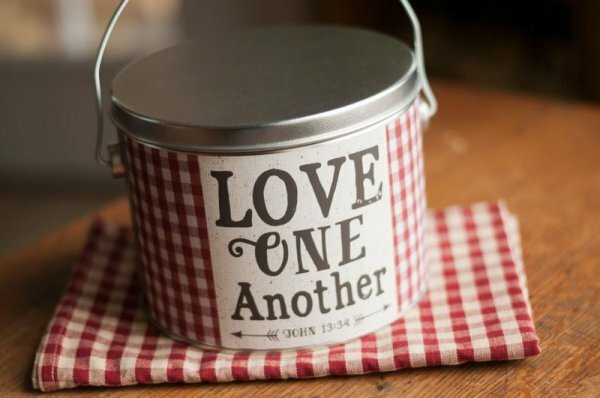 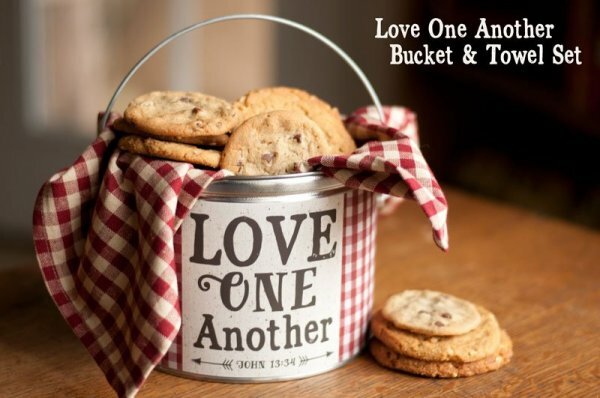 Tin bucket with lid and handle and Love One Another vinyl graphic applied. 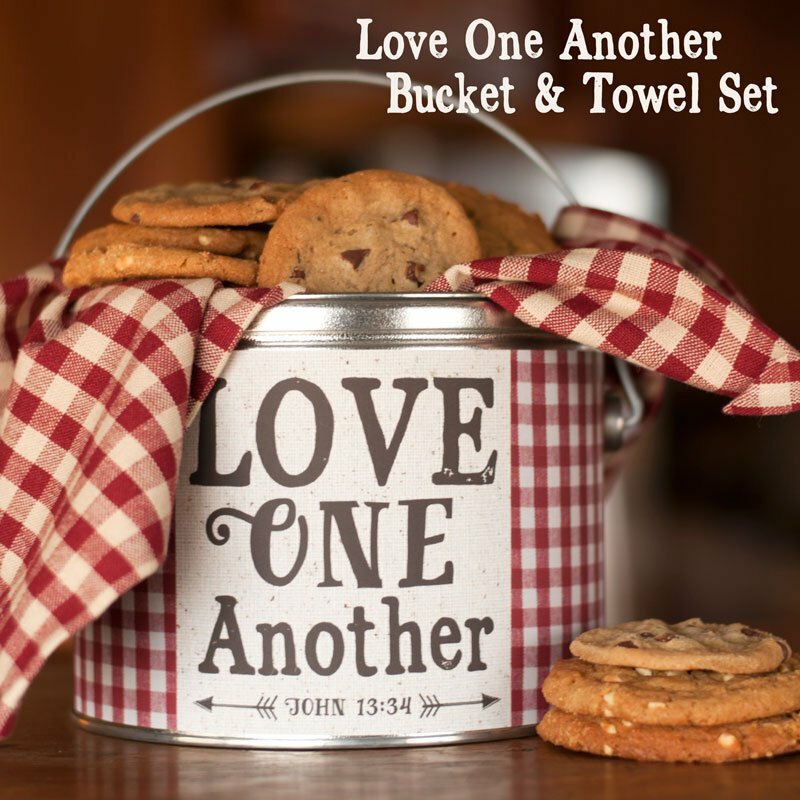 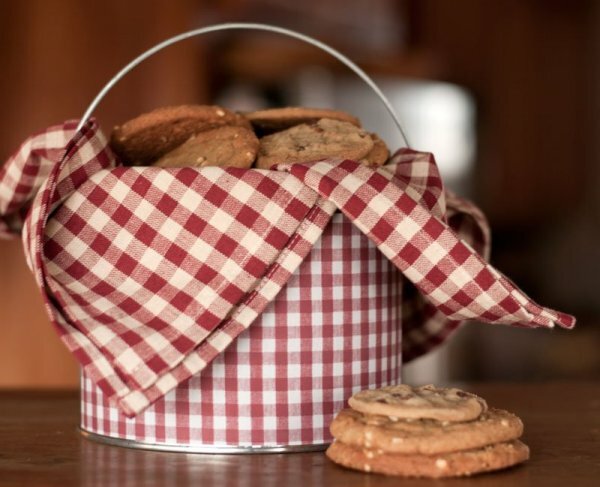 It's bundled with a matching red checked towel making it a perfectly adorable container for a batch of your home baked cookies, or whatever treats you desire! 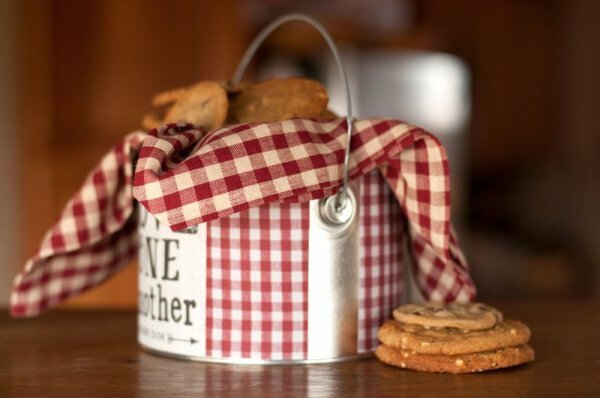 Bucket measures 6 11/16" diameter by 5 1/4" tall. 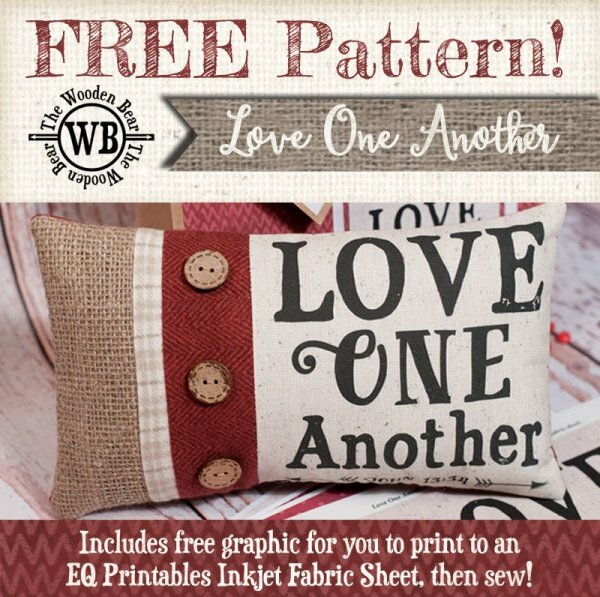 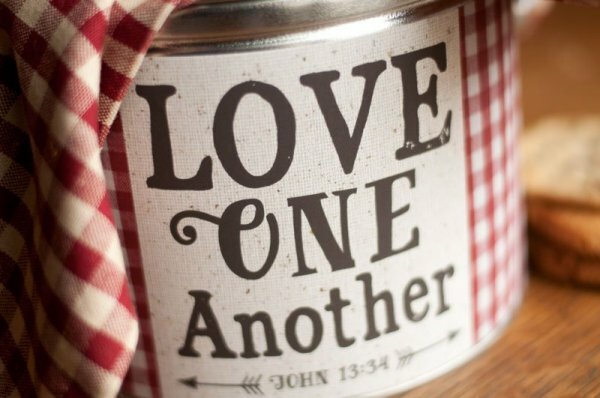 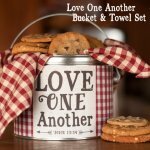 Be sure to check out our FREE Love One Another pillow pattern, as well as the graphics to make your own gift bags!